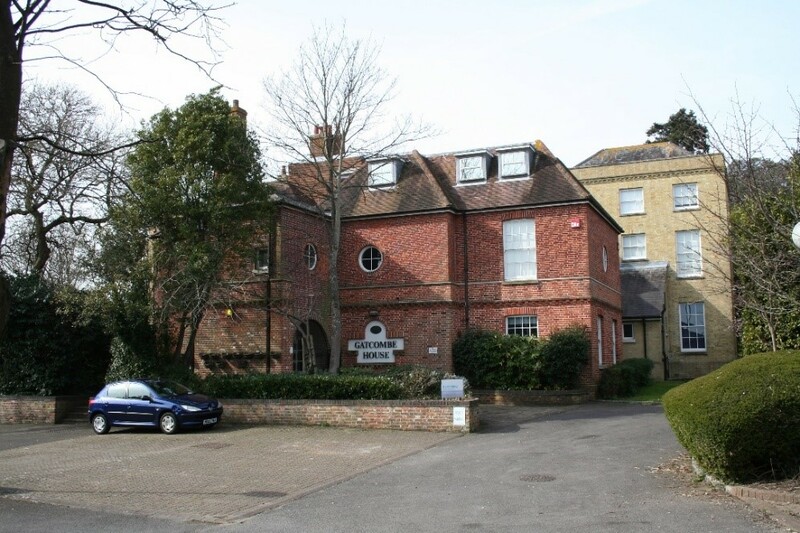 Gatcombe House is located 4 minutes from Junction 12 of the M27 and is within 10 minutes’ drive of Portsmouth town centre. We’re only 1 hour from London. 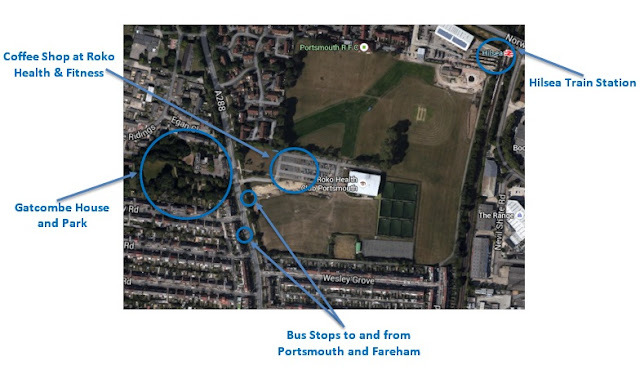 There are bus stops located within 2 minutes’ walk, and Hilsea train station is only a 10 minute walk away. 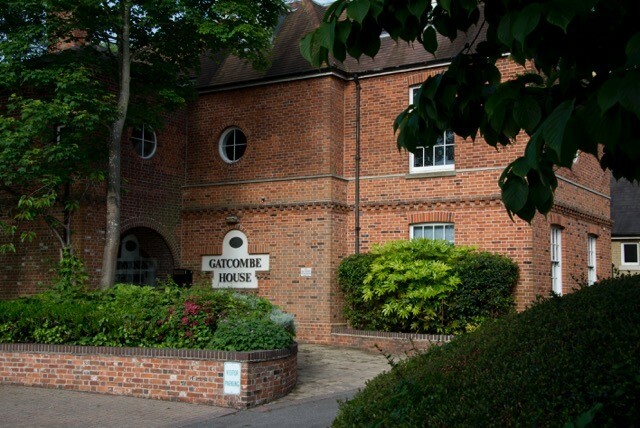 Gatcombe House has 44 offices in total spread over 3 floors. You can rent anything from a 1 person office at 90 sq.ft., to a 10 person office at 700 sq.ft., or even a whole floor. The choice is yours. 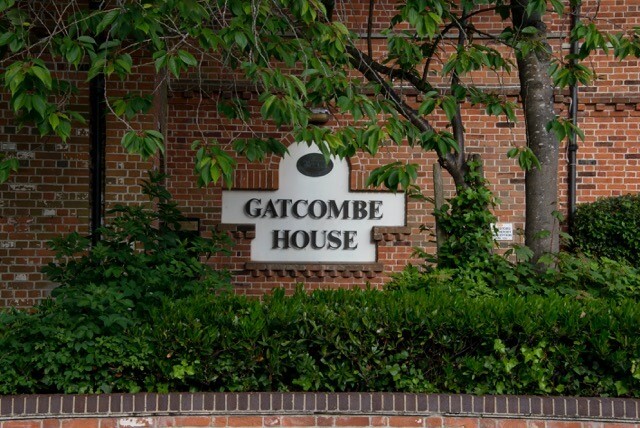 Gatcombe House is serviced with a leased line internet connection providing you with the latest broadband. Reception service: The reception is always covered giving your visitors the best impression when they come to visit you. You will receive the support you need so that you can focus on what is really important: your business. The receptionist will help you by signing for your letters and parcels so you never miss anything important, plus scanning, colour photocopying and any document printing that you need doing. It will be just like having your very own receptionist, and it’s all included in your rent. 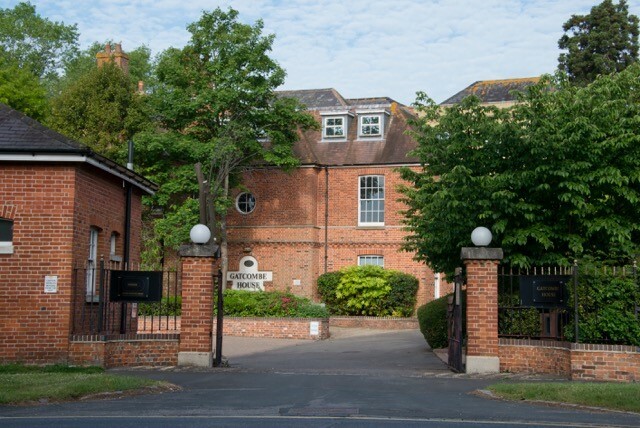 On-site parking: The car park is secure and free and right outside main reception so you and your visitors don’t have to walk far to get to your office. Conference and meeting room facilities: Book the impressive boardroom and meeting/breakout rooms when you need extra space for important meetings. The boardroom boasts a luxurious boardroom table to seat up to 20 people in comfort, and is equipped with audio-visual equipment. Book it for an hour or a whole day, depending on your needs. Flexible space: Move in and out when you want, we’re flexible. You can rent extra space and offices as your business expands so there’s no stopping you. Telephone and broadband: There’ll be no messing around for weeks trying to get yourself connected, move in today and get connected today. 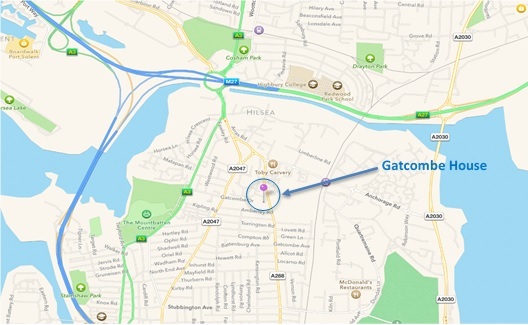 Immediate connection to our superfast broadband and telephone lines is all part of our service. No lengthy frustrating delays, get to work straight away. Don’t waste your precious time on trying to complying with regulations: We’ll take care of all of this for you. Fire risk assessments, building electrical tests, gas certificates etc. These are all taken care of so you can concentrate on running your business, and it’s all included in your rent. Kitchen facilities and refreshment areas: there are plenty of places to quench your thirst within easy reach of your office, you might even meet a likeminded business owner. Showers and loos: For those who like to start their day with a cycle or run to work, we have shower and changing facilities on the ground floor that offer easy access to the secure bike storage area. 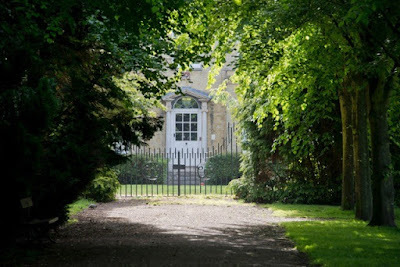 Lunch and chill out areas: Take some time out of your busy day to relax and eat your lunch in the beautiful Gatcombe House grounds and park. You will become part of a fun and relaxed environment, but rest assured, this will not detract from the professional and smart approach that your business deserves. You’ll benefit from our flexible tenancy agreements to suit your needs and the option to expand as your business grows. If you would prefer a long term tenancy then we can arrange that as well. Your rent includes heating, electricity, water, service charge and buildings insurance, so you have the assurance of knowing what your monthly outgoings will be without any hidden costs or nasty surprises, leaving you time to concentrate on your business. Our aim is to build a thriving business community covering a wide range of business sectors which can support one another. We’ll keep you updated with new businesses that take accommodation with us and hold networking events for tenants to showcase their services. Gatcombe House is a beautiful Grade II listed building that was built in 1780 and is steeped in history. 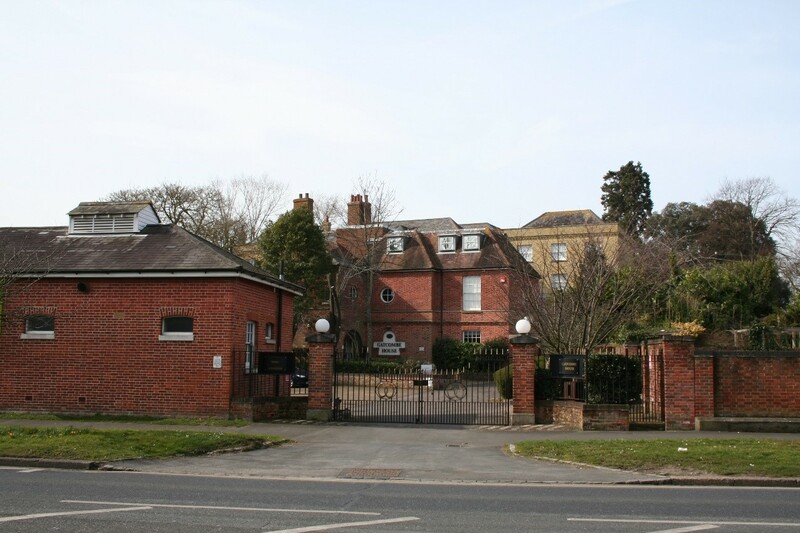 The House was the Garrison Commanders residence before it was turned into an Officer’s Mess. 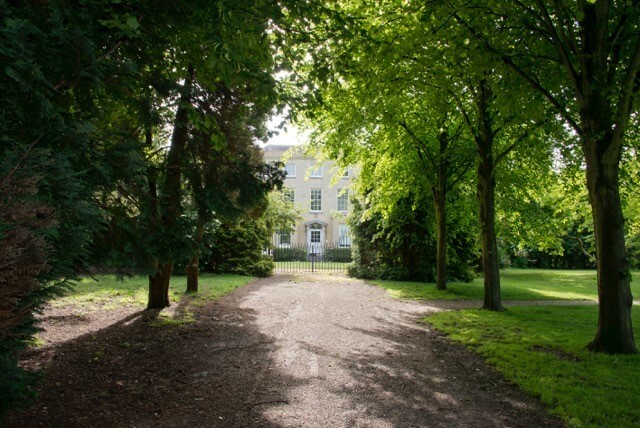 The Army left the site in 1973 and The House was left vacant falling into an almost derelict state until it was bought in the mid 1980’s by a local building company who carefully and lovingly restored it and used it as their headquarters.The House remained as their headquarters until recently, and is now available for you to rent as your headquarters too. You need a passport for the Isle of Wight!